As we enter a milestone (20th) year for the company, we seek applications from dancers who want to work across a range of performances and projects in multiple settings. 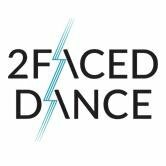 We create new work that appeals to different audiences and are looking for versatile dancers with strong contemporary dance technique and contact experience who are interested in developing new skills. If you want to work with us, we advise you to familiarise yourself with our work which can be found on our website and/or attend our 2-day professional intensive in Hereford, 11-12 February (more information available here). • 3 years dance training and performance experience. • A high standard of contemporary dance technique with excellent partnering and contact improv skills. • Excellent fitness, stamina and strength. • Willingness to work in other areas of the company’s activities inc. Learning/Participation, Technical and Marketing. • Strong sense of performance and ability to cope with performing multiple roles in multiple genres. • An interest in developing theatrical and circus skills. • A good team player with a strong work ethic. • Permission to work legally in the UK with relevant visas or work permits. • Willing to relocate to Hereford. We are holding auditions for male dance artists on the following dates in London. Start of full-time contract Monday 22 July 2019 – training, creation with Xie Xin and Tamsin Fitzgerald followed by touring. Please complete and return the application form, which can be found here.